Despite Chicago's struggle with gun violence, groups are still advocating for black gun ownership. Javondlynn Dunagan is hard to miss. She's a black woman coaching other black women who are rocking custom vests and letting off a few rounds at a gun range outside Chicago. "I've still yet to see a lady by herself or with other women," Dunagan said. That's why she created Ladies of Steel — a women's gun club — and started offering gun safety classes mainly for women. "We go out every day, and even if you're married, we are out by ourselves ... we're walking back at night to our cars from the party. ... We're at risk in a lot of ways," Dunagan said. Dunagan's group is an example of black Americans' increased interest in firearms — especially women. And according to a 2014 Pew Research Center study, an increasing number of black Americans say they feel that owning guns has made them safer. "Social media was very nasty following the election of Donald Trump. We starting seeing the activity of a lot of African-Americans wanting to exercise their Second Amendment right," Dickson "Q" Amoah said. Dickson "Q" Amoah is the president of the 761st Gun Club, the Chicago chapter of the National African American Gun Association. The national organization said it saw membership double in just three months after the 2016 presidential election. Although there's data on black Americans' shifting attitudes about guns, one thing that's a little harder to track is how people feel about gun owners who are black. "I always had an interest in firearms ever since joining the military, but I always had that guilt: 'It's not for me; I shouldn't have one.' ... I was worried about what society thought," Amoah said. 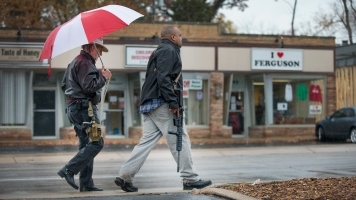 Black gun ownership in the U.S. is complicated. The history books tell us some laws explicitly kept black people from owning firearms. In recent years, we've seen instances of black people being targeted or even killed for legally carrying a gun or having something that looks like one — even in open-carry states. And black gun ownership in Chicago has an added layer of complexity: Gun-related crimes are a major problem. In 2016, more people were killed in Chicago than in any other U.S. city. And most victims and suspects of gun crimes in Chicago are black. With that in mind, how exactly do organizations promoting black gun ownership make sense of that mission in a city struggling with gun violence? "The whole idea is that we wanted to take that fear away from people that see guns in a negative way by bringing them out and educating them about firearm safety, firearm culture," Amoah said. "A lot of the crime has taken place in Chicago," Dunagan said. Dunagan's business, JMD Defense & Investigations, LLC, is located in Chicago's Beverly neighborhood, on the city's South Side. Dunagan says the location of her business is intentional. "I really wanted it to be on the South Side because we have a major problem with guns and illegal firearm ownership," she said. 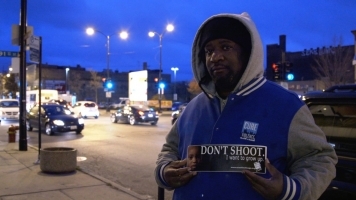 For gun rights groups that appeal to black Americans, advocating for gun ownership could be seen as controversial — especially in Chicago. But as Americans, these groups believe the Second Amendment is as much for black people as it is for anyone else. "One thing I never intended is to exploit all of the violence in Chicago," Dunagan said. "It's serious. I just want to be safe as a homeowner, as a parent, and I want my friends to be safe."